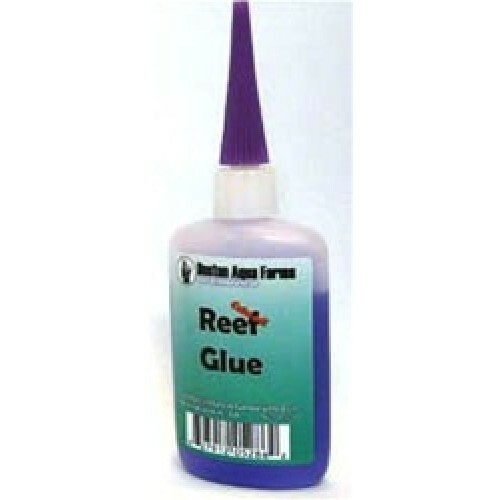 Boston Aqua Farms Coralline Colored Reef Glue is a thick cyanoacrylate super glue (it has the consistency of Honey) that is colored to mimic the natural purple/pink colors of coralline algae. Only a few drops per frag are required. 2oz squeeze bottle.